From the mountains of Colorado, The String Cheese Incident has emerged as an undeniable phenomenon, spreading their relentless musical energy world-wide. Over the past two decades, The String Cheese Incident has emerged as one of America’s most significant independent bands. Their 20 year history is packed full of surreal experiences, epic moments, groundbreaking involvement and huge accomplishments. Born in 1993 in Colorado’s Rocky Mountains, SCI has since released 8 albums, 3 DVDs and countless live recordings from their relentless tour schedule. They have been recognized for their commitment to musical creativity and integrity, for their community spirit, philanthropic endeavors, and for their innovative approach to the business of music. All the while, The String Cheese Incident has stayed committed to music as a creative endeavor, not just in their recordings but also in their live performances. The list of SCI’s special guests and collaborators is long and diverse. Their annual events such as Horning’s Hideout, and holiday shows such as New Year’s and Halloween, have helped redefine the concert experience and has garnered the band a reputation as live music vibe innovators. The String Cheese Incident celebrates 20 years as a band with the release of their first new studio album in nine years. Song In My Head – recorded with Jerry Harrison (Talking Heads) in their hometown of Boulder, CO – will be available in stores (on CD and 180 g Vinyl) and online April 29, 2014. With Travelogue – Summer 2012 (available on LiveCheese.com and iTunes – September 4, 2012), SCI archivist Larry Fox captures the best of what’s new with The String Cheese Incident, as well as a taste of some memorable guest appearances. iTunes exclusive release of Winter Carnival 2011, a live, 21-track compilation of songs culled from The String Cheese Incident‘s recent Winter Carnival run at Colorado’s brand new 1STBANK Center. SCI is thrilled to announce the launch of their brand new live archival series, Rhythm of the Road, highlighting many of the band’s most celebrated concerts with re-mastered limited edition releases. First in the installment: Rhythm of the Road: Volume 1, Incident in Atlanta – 11.17.00. Available just in time for the 10th anniversary of the epic show. Incident in Atlanta features the entire 11.17.00 performance at The Tabernacle, including special guest Tony Furtado on banjo for several songs. The recordings have been lovingly re-mastered from the original 24-bit multi-track master tapes and will be made available on CD, download (MP3, FLAC) and, an SCI first, 24-bit FLAC download. 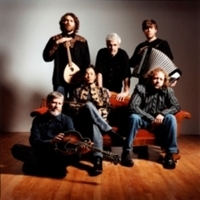 The String Cheese Incident unveils their new limited edition live release, Trick Or Treat, on October 27, 2009. The timing is fitting, considering the nine-disc box set album was culled from a variety of epic SCI “Hulaween” shows. From 1998-2004, Trick or Treat journeys through the years to re-visit some of the band’s most classic Incidents from Halloween’s past. Available as a limited edition box set, and as a 2-disc “Best of Trick or Treat” set on CD, vinyl and digitally. On June 28, 2005 the String Cheese Incident released their fifth studio album, One Step Closer. The album, produced by Malcolm Burn (Bob Dylan, Emmylou Harris, Neville Brothers, Daniel Lanois), features several brand new songs, including “Sometimes a River”, and “Drive”, as well as retooled versions of older songs such as “45th of November” and “One Step Closer”. LiveCheese.com and the “On The Road” project were developed to satisfy an ever-increasing demand for greater access to recordings of SCI’s live performances. SCI releases each Incident the band performs via download and three-CD set. All recordings are a matrix mix of soundboard and audience microphones. In addition, the band has released some of their most requested shows exclusively on iTunes via the OTR Archive Series. Waiting for the Snow to Fall is an up-close journey back to the places and towns that helped create, define and shape the members and music of The String Cheese Incident. Pulling their old tour bus, “Bussy,” out of retirement, the band embarks on a unique Winter Tour to visit old friends, homes, haunts, and early-day venues. With the help of ski film specialists Warren Miller Films, this movie captures a side of the band that fans have never seen. Join The String Cheese Incident as they take a look back at the epic New Year’s Eve celebration of 2000. Evolution examines the creativity, spirit, and hard work that goes into making a night of magical music and adventure. The film goes behind the scenes of “2001: A String Cheese Odyssey” to capture the unique nature of a New Year’s Eve show. Some consider Outside Inside to be SCI’s best studio album. Produced by Los Lobos’ sax player, Steve Berlin, album contains great versions of “Close Your Eyes”, “Search”, “Latinissmo” and “Rollover”. Guest performers include Karl Denson and Andy Cleaves. Guest performers include Paul McCandless, Tony Furtado, Yvonne Brown, Coco Brown and Christian Teale. Album includes great studio versions of “On the Road”, “Restless Wind”, “100 Year Flood” and “Come As You Are”. SCI’s first live release. Recorded at the Fox Theatre in Boulder, Colorado in February 1997. This album contains amazing live versions of “Little Hands”, “San Jose”, “Lonesome Fiddle Blues” and “Wake Up”.